I'm a woman and I've been blogging about riding a bike and researching bikes for four years, but I don't often write about gender issues in bicycling. I grew up reading gendered magazines, like Vogue, and I have seen these magazine markets get reproduced online. I prefer to think of my blog as operating differently than gender-segregated media, more like Highlights than like Harper's Bazaar. I don't write about "cycle chic," I don't belong to a women's cycling club (then again, I don't belong to any cycling clubs), and I don't conceive of gender as the biggest barrier to making bicycling something unexceptional in the United States. We need to get more people to think of bicycling as a possible mode of transport in their lives, regardless of gender. - There's a lot of pressure in the bike cultures I know to learn about bike repair and technical gear, but women are often socialized to pay less attention to technical details and more attention to the people around them. I'm probably going to notice how well two people get along before I notice their Campagnolo hubs. - There's a necessity to assert one's right to the road when biking, but a lot of women have been socialized to be less forthright and more accommodating. When I'm waiting lawfully at a red light and I know there is a motorist behind me waiting to turn right, I sweat it over whether they're going to honk at me or not, whether they're going to scream that I'm in the way. - In talking about bikes, commentators tend to strip streets of their social and cultural contexts, reducing travel to some mechanistic interaction of individual with roadway. Women are taught to be painfully aware of our bodies, maybe making it more difficult for us to buy into this focus on road design. And even if they're not familiar with the social dynamics of bicycling, many people seem to think that they have to look a certain way to ride a bike. The images I see the most are of style-oriented hipsters and sport-oriented roadies. These pictures were taken seconds apart on a bridge in Chicago in 2009. The first shows a guy whose clothes match, with a helmet whose design references alternative bike and skate culture. He has on a messenger bag and based on the small size of the handlebars, along with the lack of visible shifters, I'd say he's riding a fixie or a one-speed. The term "hipster" means a lot of things, depending on the image in the mind of the speaker. It rarely gets used as a compliment, and implies a superficiality that clashes with the commitment I have witnessed in many stylish people who choose to bike. (That's a whole other post.) Anyway, I think the image of bicycling as only for the cool kidz turns some people off of using bikes at the same time that it attracts others. I imagine a woman in her 20s or 30s who identifies as a feminist, maybe even works for some environmental nonprofit, but dislikes bicycling because she associates it with the cliqueyness of urban hipster culture. The second image shows a guy who is wearing a number of technical bike garments. He's wearing glasses that have a streamlined look, a racing helmet, bike shorts, and what looks like a dri-weave shirt of some kind. Many people seem to think that getting into bicycling means getting into sport cycling. I see a lot of commuters who wear technical gear, which might perpetuate this idea that you have to get dressed up in expensive and specific clothing to ride a bike. I have never pursued bike racing, but I'd imagine that like in any sport, the stakes of bodily performance are high. Having other people judge my bodily performance does not sound appealing to me, and if that's what women have in mind when they think of biking, I can see why it wouldn't sound like something for them. The imaginary woman in my mind feels intimidated by the sheer volume of things she could do wrong as a bicyclist. What if she wears the wrong shorts? What's a pearl izumi? Gender and subculture aside, drivers who choose to ignore you can still make you feel disempowered. Sometimes thinking about riding my bike in certain places and sharing streets with people who make no effort to return my eye contact scares me: this is my barrier to bicycling. Maybe this just shows that I'm what planners call an "indicator species" (women, who are less likely to take risks and thus our presence biking on a roadway indicates the perceived comfort of riding there). Whether or not my fear stems from me being a woman, it definitely stems from the root problem of our longstanding acceptance of reckless traffic behavior. 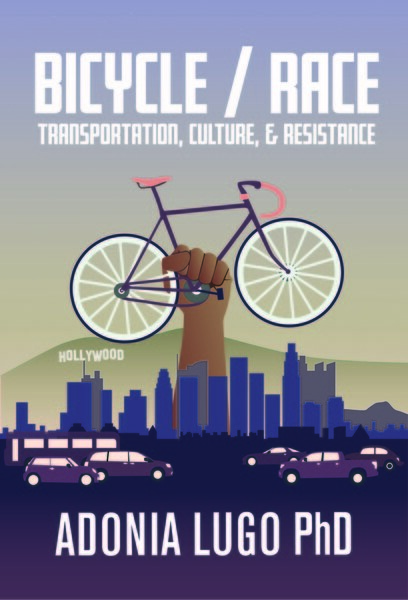 If we shift to thinking of our streets as social spaces rather than as traffic channels, a lot of the machismo associated with bicycling will melt away because biking won't be such a renegade action.